Machines, electronics and equipment need to be dismantled and cleaned before being either sold, moved or recycled. The proceedure is complex and each part of the process has its own set of challenges. Recently, we were involved in such a case – the closure and relocation of a well-known New Zealand food processing company. Initially, we were asked to assess the plant for cleaning and sanitising. This encompassed all of the building’s structure and equipment and all of the electrical componentry. After an initial assessment, followed by a thorough inspection of the building and all equipment, we sat down with plant engineers for a discussion on what steps to take next. Once in agreement, a report and action plan was submitted to the client, and accepted. There were many different aspects that needed to be completed, each with its own safety guides and checklists. This included steam cleaning, hydro-jetting and hand cleaning. When it came to dealing with the risk of electric shock, extreme caution was necessary while cleaning electrical switching, motors and boxes. We are happy to report there were no accidents or mishaps on this job, and our exemplary safety record remains intact. Some of this machinery was being relocated to other plants, and for this reason, all equipment needed to be sanitised. The detergent we used was an MPI approved heavy duty product and a 75% alcohol surface sanitiser. As some of this machinery was heading to Sydney, Australian quarantine laws came into effect. We worked closely with the Ministry of Primary Industries to comply with quarantine requirements. This not only included strict cleaning and sanitation, but also fumigation. On top of the Ministry of Primary Industries, we also had to work closely with the freight forwarding company, working alongside their staff to ensure shipping dates were met with minimal disruption. Our team of four men were onsite for three weeks, and again, we are proud to say the job was completed to the total satisfaction of the client. Once the cleaning was complete and everything had been sent to Sydney and other parts of New Zealand, the building itself stood vacant for almost a year. The machinery in the plant had been moved, along with the administrative staff, as the company’s offices had been relocated to central Auckland, leaving the premises empty. It was nearly 12 months later that a decision was made to lease out the building. But before this could happen, a total interior building clean was necessary. 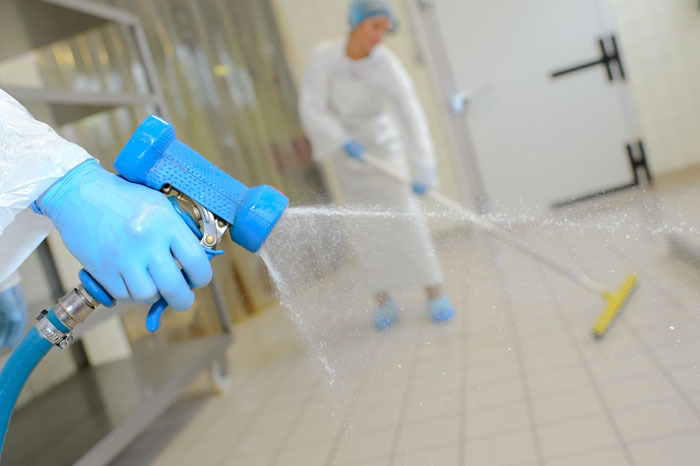 The client called us back in to clean the building in preparation for leasing, as he appreciated the outstanding job we had completed cleaning the plant equiment. 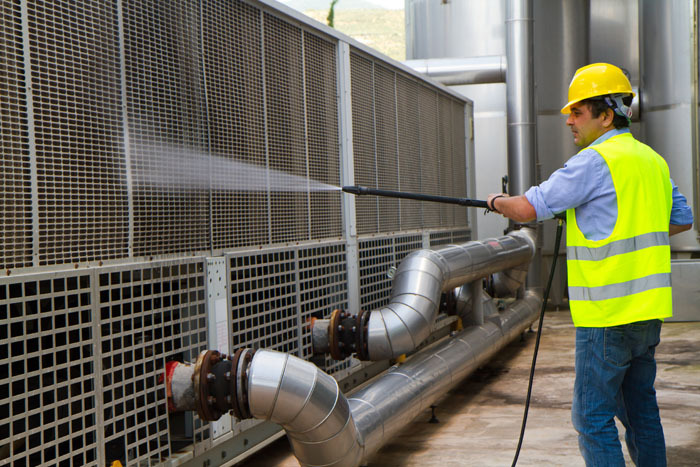 We used a foaming detergent which is pH neutral to clean the vents, ducting walls, and ceilings, hydro-jetting both the factory and warehouse. When it came to the office areas, we hand-cleaned those, using speciality sheepskin padding, scrubbing the walls and ceilings bare. The carpets were cleaned with a special carpet cleaning machine, using a unique odour neutralising detergent, ensuring a nice fresh smell for the new tenants. Another job successfully completed to the total satisfaction of the client! If you think Unique Services can help you in any way, please don’t hesitate to contact us today.